The following message was received from Laura Thom. Thank you again for all that you do, Laura! LET’S SPRUCE UP OUR CORNER FOR THE HOLIDAYS! MARK YOUR CALENDAR: Saturday, December 10th, 8am-10:30am. Join members of our Wards Corner community and Granby High School FBLA students to share comraderie, refreshments, and a sense of accomlishment as we come together to Clean Our Corner! 8-8:30am: Meet at North Shore Sports & Physical Therapy (7419 Granby St.)for registration, snacks and supply distribution. Trashbags, safety vests, gloves & refreshments provided. Prepare for road closures this Sunday, November 13, 2011, for the Norfolk Freedom Half-Marathon. While the foot race starts and ends in downtown it does traverse through Wards Corner. The right lane of eastbound Little Creek Road and the right lane of southbound Granby Street will be marked off for the race. There will also be a 5k and a Kid’s Warrior Trot (1 mile) downtown. The race website is here. More information about the events can be found here (PDF). Great news for Wards Corner. 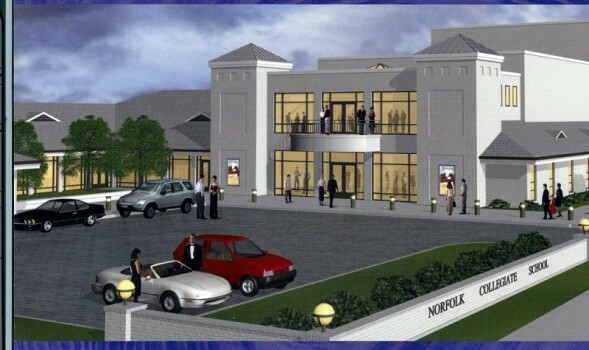 Norfolk Collegiate has scheduled a groundbreaking for their Center for the Arts. The groundbreaking will be on December 16, 2011 at 9:15am. This 31,000 square foot fine arts center will have a 425 seat theater, an on-site student art gallery, classrooms, workshops and practice studios. The facility will be made available at night to the community for a slight charge for security and janitorial services. The floor plan can be viewed here. You are currently browsing the Wards Corner Now - Wards Corner, Norfolk, Virginia blog archives for November, 2011.